It’s been a new year full of distractions from the government shutdown, to cooler predictions for housing in 2019, but we have some positive news for multifamily investors. 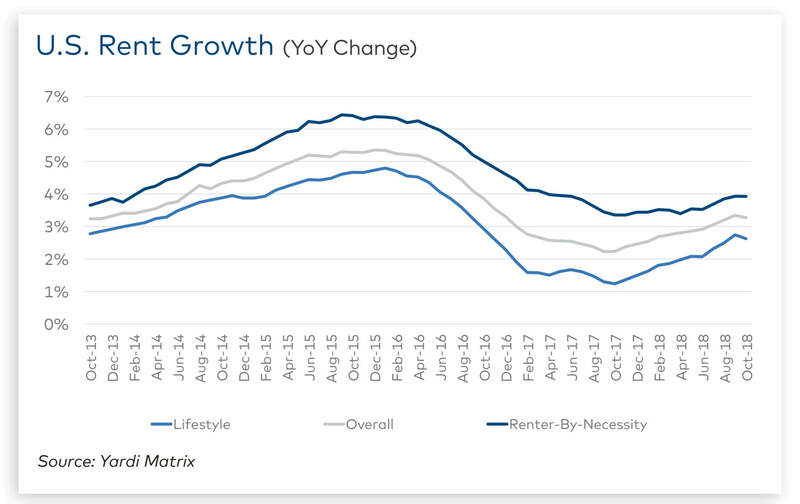 We reported a few weeks ago on the strong sentiment within this sector, and this week there is even more data suggesting multifamily may be in for a strong 2019. IvyLee Rosario of Multi-Housing News reported that “after a positive performance throughout 2018, the multifamily industry shows no means of slowing down.” Rosario points to two main drivers for this: average rent increase of 2-3% nationally, and construction deliveries of 300,000 new units—marking the fourth year in a row to hit this range. However, the rising interest rate prediction isn’t a commonly held one at this point among commentators, with many believing rates will continue to drop into 2019. As the reports in the first story indicate, real estate investors could see rising rents and decreased vacancies heading into 2019 as new construction slows and affordability worsens. 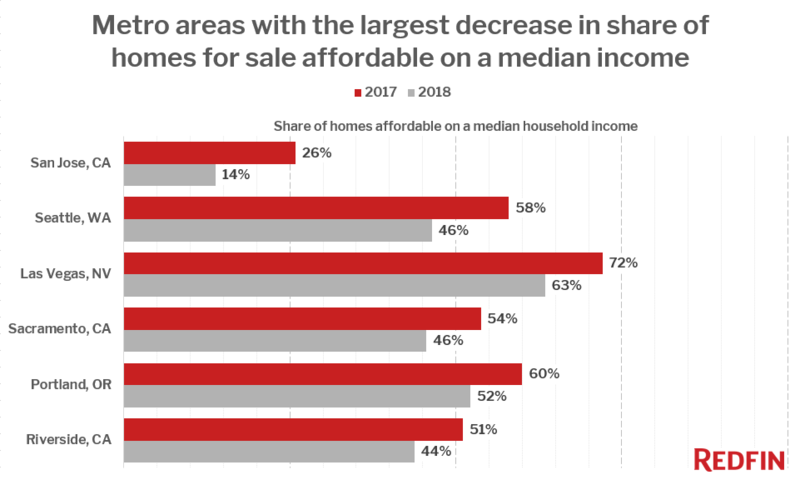 As middle-income families put off homebuying, investors may experience more stability this year. 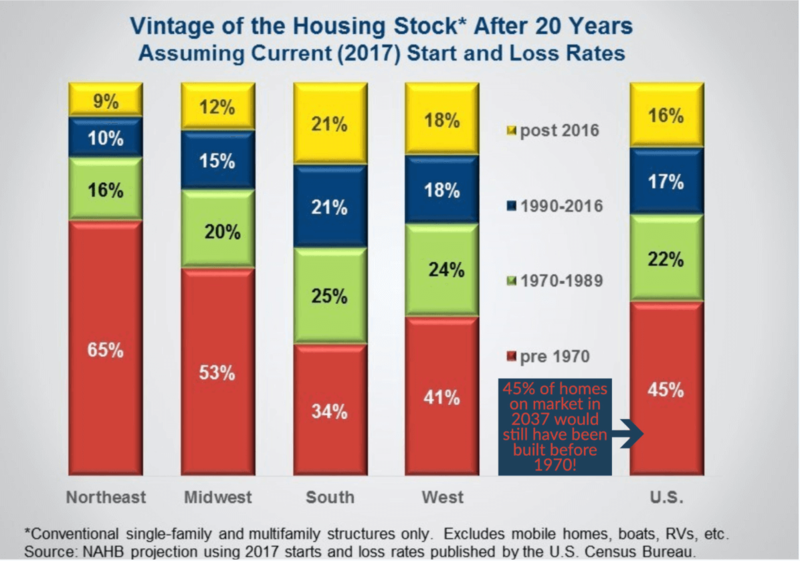 Average age of homes in U.S.
Also of note, is the fact that the NAHB predicts that 45% of homes on the market by 2037 will still have been built before 1970. And current US homeowners aren’t keen on remodelling and renovations either. Diana Olick from CNBC adds to this discussion noting that home remodelling growth is expected to drop this year because home values aren’t gaining as much (less equity to play with), mortgage interest rates are rising, and fewer homes are selling. For all you house flippers and value-add investors out there, you could be looking at decades of ample supply! We’re excited to announce that today we’ve enabled a new Net Cash Flow chart at the portfolio level for all Stessa accounts! Visit your Portfolio Overview page to see your last twelve months of data plotted visually. We’ll soon roll out this same chart at the property level. Send us your candid feedback by replying to this email or via the Support link once logged in.